Patricia Moulton speaks to the Senate Finance Committee in April. 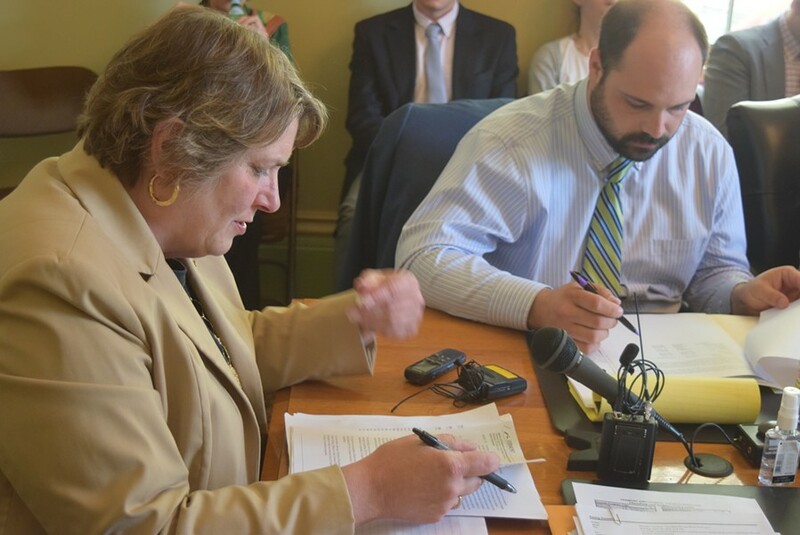 Patricia Moulton, secretary of the state Agency of Commerce and Community Development, is leaving that job in September to become the interim president of Vermont Technical College. Moulton will be the second of two administration officials who oversaw the controversial EB-5 economic development program to leave their jobs. Susan Donegan, commissioner of the Department of Financial Regulation, announced in March she would resign in June. Donegan has been replaced by deputy commissioner Michael Pieciak. The two state departments oversee Vermont’s EB-5 Regional Center. The center has been at the center of controversy since allegations made in April by the U.S. Securities and Exchange Commission that Jay Peak developers Ariel Quiros and Bill Stenger misused money invested for EB-5 projects. Gov. Peter Shumlin, who is not seeking reelection, will have a replacement for Moulton before she leaves, spokesman Scott Coriell said. 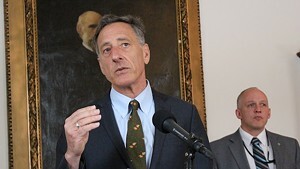 Shumlin praised Moulton’s work. “Pat has been an extremely trusted and loyal member of my team. During her tenure at ACCD, she has helped attract new business to our state, keep our unemployment rate at one of the lowest levels in America, and oversee the creation of over 7,000 new jobs,” the governor said in a statement. Vermont State Colleges announced Thursday that Moulton, who has worked in high-level positions for both Republican and Democratic governors, will serve as interim president of Vermont Technical College in Randolph. The college’s president, Dan Smith, is leaving in August to become president and CEO of the Vermont Community Foundation. Vermont State Colleges also appointed Nolan Atkins as interim president of Lyndon State College. Atkins had been interim academic dean and has taught at the college since 1997. He will fill in for Joe Bertolino, who is leaving in August to become president of Southern Connecticut State University.